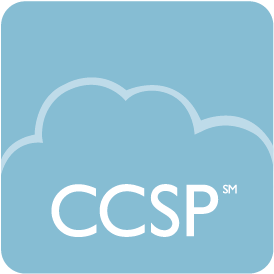 This five day Certified Cloud Security Practitioner course is focused on Cloud Security, encompassing Cloud Security Architecture, DevSecOps, Data and Assurance aspects, Governance, Cloud Security Operations and Web Application Security. The course spans cloud security principles, patterns and architectural frameworks, data protection and compliance for cloud based applications, data and infrastructure, and the design, development and implementation of cloud security architectures. We will review the wide range of technical security controls available using Cloud Service Provider and partner technologies, automation and DevSecOps, assurance, audit and security testing of cloud based services. Containers and serverless architectures will be introduced and their security implications reviewed. Agile DevOps methodologies will be covered and the use of a Continuous Integration Pipeline for security improvements, validation and testing. The course is delivered through presentations, discussions, practical demonstrations and 'hands-on' labs. You will gain practical hands-on experience of implementing and using cloud technologies and technical security controls in labs based on services from leading cloud service providers (AWS, Google & Microsoft) and consolidate learning in a group workshop to develop a cloud security architecture, based on a realistic scenario. This course is aimed at technical and security specialists looking to develop and operate secure applications and systems using an agile DevOps methodology with fully automated deployments to cloud environments. There are no pre-requisites. However, we recommend that all delegates have an understanding of the general technologies, for example Operating Systems and Networking and Security principles. Experience of using cloud services and security technologies is helpful but not essential. Why is everyone moving to the Cloud? Overview of different virtualisation technologies and types covering storage, networks and systems.